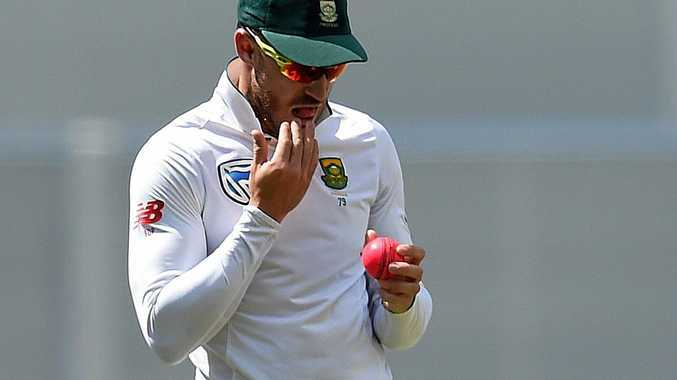 SOUTH Africa captain Faf du Plessis says his team won't sledge Australia about ball tampering during the Proteas' ODI tour and he hopes his players get booed by hostile crowds. Du Plessis insists there's no bad blood between the two sides despite Australian cricket plunging to its lowest depths during last year's doomed Test tour of South Africa. Steve Smith, David Warner and Cameron Bancroft were all handed lengthy bans after being found guilty of ball tampering on that tour. 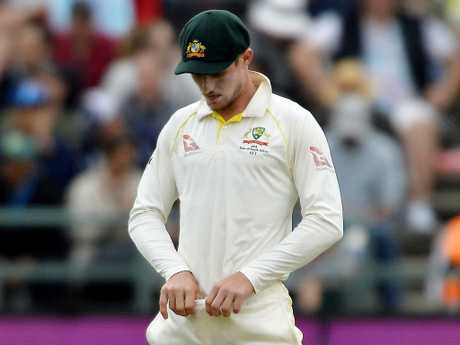 South African broadcasters were tipped off that Australian players were tampering, and they eventually caught Bancroft using sandpaper to alter the state of the ball. Bancroft then shoved the sandpaper down his pants to try to hide the evidence. Du Plessis knows what it's like to be under the microscope after twice being found guilty of ball tampering in the past. One of those occasions came during a Test tour of Australia in 2016, when he was accused of using sugary saliva from a sweet to change the condition of the ball. Du Plessis controversially avoided a ban over that incident, and the Australian home crowd were ruthless on the star batsman during the next Test when he made a fighting pink-ball century in Adelaide. The 34-year-old says it's not in his team's character to sledge, especially about something as serious as Australia's ball-tampering controversy. "I don't think us as a team would go there," du Plessis said ahead of the opening ODI against Australia on November 4 in Perth. "Similar to, I suppose, the 'mint gate' (that I was involved in). "Even when I played against a team, there was nothing like that (sledging). It's got nothing to do with the cricket - it's in the past. "In terms of what happened in Newlands, that's in the past for us. For us, it's business as usual." With the 2019 World Cup in England just seven months away, South Africa will use the tour of Australia to experiment with their squad. And du Plessis hopes his players will cop the wrath from local crowds. "I just go back to Adelaide when I walked out to bat in that night Test match and there were 60,000 people booing," du Plessis said. "That's what makes home teams so challenging to tour - when you get to a place where the crowd is intimidating. "That's something that youngsters will take a great deal of learning from. "It tests your character. And if you get through it, you show yourself more than anyone else what you're capable of. "I'm hoping that it's there for us as a team just to get used to that difference, especially when you go to a World Cup."